The camera is in great working condition, was serviced a few years ago but recently I lost the mirror lockup lever button, not that I use this function all that much but it doesn't look as good without it and it's more prone to dust and dirt. 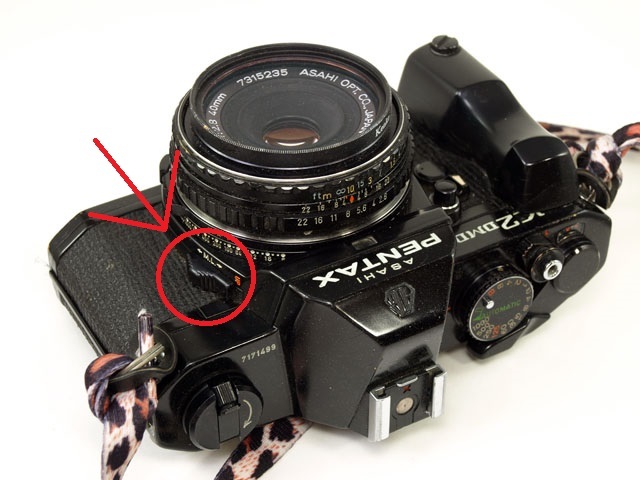 Any of you guys has a broken K2 and is willing to sell me just this lever? I have a "parts" K2 that has the MLU button intact. I’m just not sure how to take it off without breaking it, any suggestions? Looking at the service manual (http://www.robertstech.com/stuff/k2_sm.pdf) page 11, it's piece A147 and looks like the front panel has to be removed. It looks like you have to remove the front plate and unscrew the outside piece. Sounds like major surgery! I can try but it may take awhile, as I don’t have the tools at home to work on a camera. Have you tried Eric to see if he has the part, it may be easier? I'm in europe, Eric is really not an option. I have sources for repair in europe but the camera went for repair 2 or 3 years ago and it's really great, except for this stupid lever, not really in the mood for spending a bunch of money just for this, If I can source the part I prefer to do it on my own. Understood. I was thinking if you emailed Eric and asked him if he would sell you just the MLU part only. He probably has it in stock and this saves you sending in your camera body. If not let me know and I’ll see what I can do.